As 2016 ends, many people look at the projected sales figures of the different VR headsets and are left disappointed. However they shouldn’t be, because their expectations were too high. Firms projected astronomical numbers for the size of the VR market going into 2020 and beyond, which included unrealistic expectations for 2016 as well. I actually warned about the dangers of these expectations back in November of 2015, and it looks like those expectations are starting to weigh on the VR industry. Since that article was published, numerous reports quoted there have been revised downward, some of them twice. What can we expect, realistically? Realistically, we can expect that 2016 is the seed year that many expected 2015 would be. There are finally some headsets in the market, and developers can now look at install bases when they are considering which platforms to build for. Epic Games and Unity now have tools that let you build things for VR in VR, which I believe is extremely valuable for creating meaningful VR games. None of these existed a year ago. The only things that existed were Google Cardboard and Samsung Electronics GearVR, and both were still relatively new. My own projections have both HTC Vive and Facebook’s Oculus Rift selling under 500,000 units each in 2016, which isn’t a problem considering when they both launched (April) and what the performance requirements were when the year started. Now, the barrier to having a VR-ready PC has dropped from a $299 upgrade to under a $199 upgrade (Advanced Micro Devices AMD RX 480 and NVIDIA GTX 1060), and the cost of an Oculus-ready PC has now dropped to $499. We also have the Sony PS4 Pro which is much more capable of running the PSVR headset and brings the cost of a total VR experience down to about $799. PSVR also gives us a lot of noteworthy titles and content that will draw consumers towards VR while doing it in a console environment which is generally more developer-centric. Also, thanks to Oculus’ launch of touch, developers can now develop for room-scale VR on all platforms and all using motion controllers instead of a gamepad. A lot of good things about VR have happened in 2016, and they all seem very foundational. This year has been the foundation upon which VR will be built, and the exuberance around VR has caused many to overestimate and anticipate too much in too little time. Many people now believe that AR will eventually outpace and outgrow VR as the dominant HMD technology. However, even though this may be true, AR does not suffer from the same disillusionment that VR suffers, because the expectations have always been low. This is especially true because of the failure of Google Glass and others before it. Consumers’ expectations have already been lowered with AR, and many of them have forgotten how long it can take for a truly transformative technology to truly take hold. It took nearly 20 years from the first smartphone’s debut for the market to reach the size it is today and that was with continuous evolution and growth. VR had a nice 20-year hiatus between the 90’s and this iteration of VR, the Oculus Rift debuted almost exactly 20 years after the Virtual Boy was discontinued. True technological revolutions are really slow evolutions that take time and continued investment and people. Companies cannot simply abandon VR once the market doesn’t seem to grow as fast as they had hoped. 2017 promises to be an interesting year for VR with all the developments of 2016 finally bearing fruit. Additionally, we will finally see a lot of the projects started in 2015 and 2016 start to release; after all, building a good game isn’t easy or quick. Right now, we have a lot of indie developers churning out the best games they can as fast as possible. Once game developers have more time to really consider VR in their design, we will see more quality titles and more consumer interest. Plus, when it comes to hardware, we’re still not out of the woods with many expected Daydream and All-in-one Android HMDs powered by Qualcomm and ARM expected to release in 2017. Let us not forget that Microsoft’s Project Scorpio and Windows Holographic update are both coming in 2017 as well as the associated low-cost HMDs that will follow. 2017 is the continuation of what started in April, and I expect that we will continue to see more announcements and releases until the end of 2017. There are a lot of VR activities across the industry, and it would truly be disingenuous to write off VR because some people’s expectations simply were unrealistic. 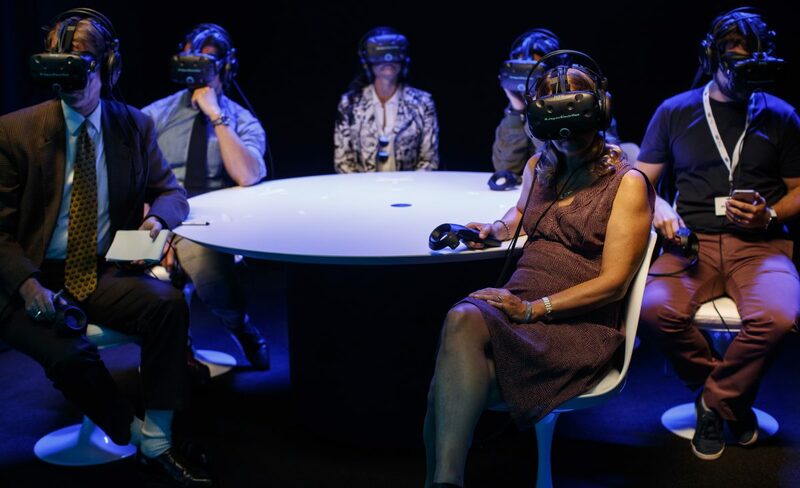 Investment in the industry continues with companies like ODG recently getting $58 million in funding and the overall funding activities this year reaching into the hundreds of millions of dollars and combined AR / VR funding breaking into $1 billion. The road for investment is still extremely long and wide with multiple billion-dollar funds cropping up specifically to fund AR and VR.